The best way to get to the most beautiful and isolated towns and villages in Croatia is by car, and NÜ Car Rentals has great deals on car rental in Dubrovnik, Pula, Split, Zagreb and Zadar in Croatia. Pula, a seafront city on the tip of Croatia’s Istrian Peninsula, is known for its protected harbor, beach-lined coast and Roman ruins. 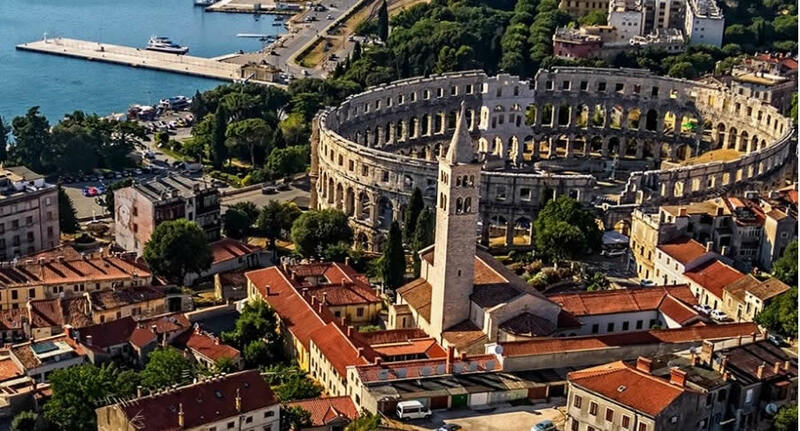 Settled in the prehistoric era and valued for its strategic location, Pula has been occupied, destroyed and rebuilt numerous times. The Romans, Ostrogoths and Venetians, as well as the Allied Forces in World War II, have each administered the city. Don't miss your chance to enjoy this beautiful and friendly country. Get great deals on European car rentals - Car Hire with NÜ Car Rentals Company - Rental Car Agency. Book your NÜ Car Rental today! NÜ Car Rentals has great rates, exclusive discounts, and the cheapest deals to fit any budget. Next time you're visiting Pula, Croatia, take an us for a ride, and find the perfect rental car. NÜ Car Rentals has a locations at Pula, Dubrovnik, Split, Zagreb and Zadar Airports and downtown.